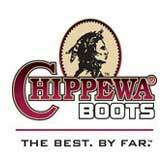 Due to manufacturing delays, it may take 14 to 16 weeks for Chippewa boots to arrive. We know your secret fantasies. The things that make your thoughts wander during the day and keep you tossing and turning at night. No, we're not psychic, though that'd be pretty cool. We just understand what a tough day on the job demands, and we know that you secr ... (see full details) (see specifications) #CHP29416. We know your secret fantasies. The things that make your thoughts wander during the day and keep you tossing and turning at night. No, we're not psychic, though that'd be pretty cool. We just understand what a tough day on the job demands, and we know that you secretly (or not so secretly) long for that perfect pair of men's boots that will relieve your foot-related tossing and turning troubles. That's why we're bringing you these Chippewa Men's USA-Made 29416 Waterproof Insulated 8 Inch Brown Boots. Totally work-ready right out of the box, these Chippewa boots have all the features you need to tackle a tough, challenging day on the job. Made with Bay Apache waterproof leather uppers, this pair of insulated boots will keep you surrounded in soft, supple comfort while keeping out the elements. Antique, non-tarnishable hardware and heavy duty waxed sta-tied laces offer you with extra-tough durability for rugged conditions. Chippewa employs the Goodyear leather storm Welt construction method to attach the tough uppers to the rugged soles. Stitched rather than glued, Goodyear Welted boots deliver sturdy, dependable performance and are fully repairable for years and years of reliable wear. Vibram Cascade Yellow Plug outsoles on the USA-made boots offer sure-footing you can count on. Oil- and slip-resistant, they keep you grounded on a variety of terrains and surfaces. You'll find the slip-resistant boots fully lined in Ruby Dri-Lex 2000. Affectionately known as "The Sweat Control Fiber," Dri-Lex works to wick away moisture and perspiration from your feet so you stay cool, dry, and comfortable day in and day out. Chip-A-Tex waterproof booties and 400-gram Thinsulate insulation work to keep the cold and wet elements from getting to your feet. Much thinner and lighter than traditional insulating materials (hence the name), Thinsulate delivers outstanding warmth with less bulk and weight than your other options. Waterproof Texon 460 orthotic insoles cushion each step you take for comfort that lasts your whole shift. Finally, triple-ribbed steel shanks provide arch support for improved stability and control. We totally got into your head, didn't we? While it may be a little disturbing, you'll thank us for knowing those secret desires once you slip into these Chippewa Men's 29416 American-Made Insulated 8 Inch Waterproof Boots. Just click on the cart to order yours today. Oh, and we won't mention anything about those other thoughts we picked up on! 32 out of 32 people found this product review helpful. Not only SWEEEEET looking,,they feel great and are everything this company represented them to be. I have had them on for a few hours now and my feet are as warm as they could be. With the wool fleece socks, there is no doubt I will not only be comfortable but warm as well. Salutations to an American Made Boot and the Company that sold them to me. 28 out of 28 people found this product review helpful. I work in construction, and this is the best boot I have ever owned. Outstanding product, rock-solid, waterproof, comfortable (need minim break-in time) rugged good looks and affordable. Nuff said?? 23 out of 23 people found this product review helpful. An outstandig boot for the price. The quality is on the mark. 21 out of 21 people found this product review helpful. Terrific boot and very comfortable. I work in construction and need a good boot that is flexible enough to bend with me. This does the trick for me. Thank you so much for making the experience of returning the Bates boots so simple. I really thought that I was going to have jump through hoops to get this done, but your return policy is definitely worth emulating. I look forward to visiting your site again. Chippewa Boots: Men's Waterproof 29416 Brown Insulated Work Boots is being added to your cart.